I got 16 bean soup and thought it would be fun for the girls to sort them… then I planned to throw in some math and have them count by 2’s 5’s 10’s total them and so on. 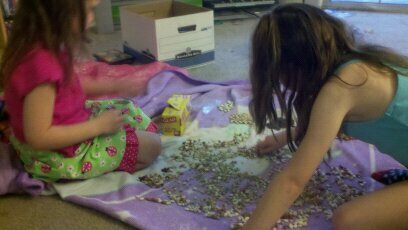 The girls got 12 of the 16 beads sorted. Mac and I had to go to gymnastics (she got moved up to a class that will be competing soon. As we are walking out the door, Belle starts worrying that Jack will eat all of the beans. The beans are also filthy and need a good washing. So, Belle asked Michael if she could wash them. She proceeded to clean them with soap, and they all got soggy. Luckily, I bought two bags, and we will try it again. I also bought some more Uno and asked the girls to see how many cards they could find that added up to 10. Here is what they saw. We also watched Word Girl and learned some new words, and it’s meaning. 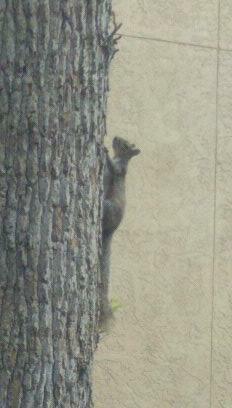 We have a Squirrel that we are trying to train to come to get food out of our hands. They have taken the food out of my hands once. My fear is the squirrels might chew our hands off. 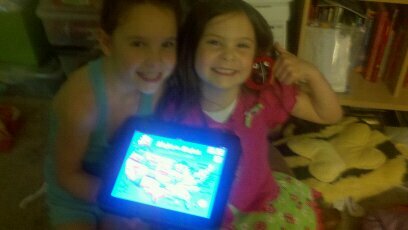 Mac and Isabelle are both getting really good at putting the states in place. 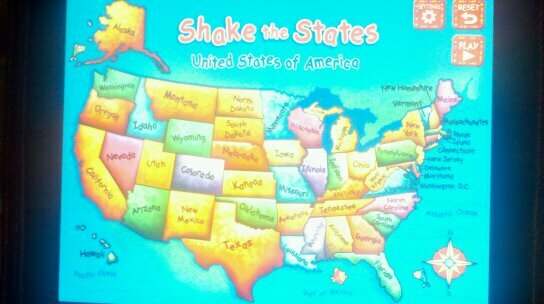 We have a game called shake the states – Mac decided to do the second level which has no line for the states and did it with no help – Belle of course didn’t want to be u outdone by her sister so she did it also with no help… I am so impressed – I don’t think there is a lot of adults that can do that…. This entry was posted in Math, Unschooling and tagged 16 bean soup, grouping, Math, sorting beads, states, word girl by Chrissie. Bookmark the permalink.